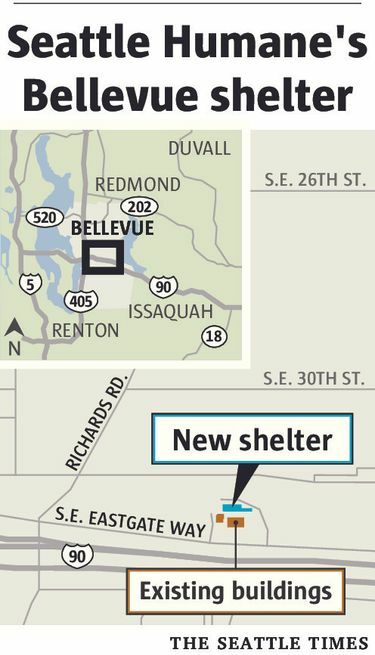 Seattle Humane plans to open the new shelter to replace its current Bellevue facility, built in the 1960s. Pet adoptions are all expected to significantly increase once the new building is fully operational. 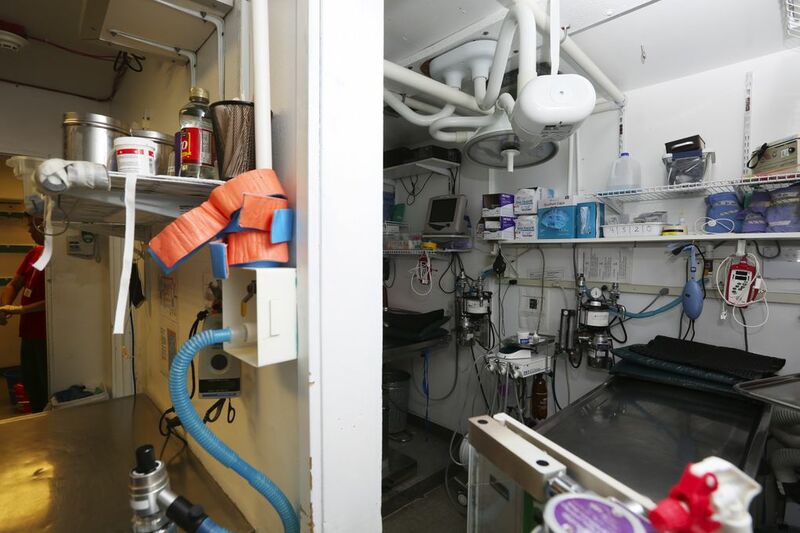 On mornings when pet surgeries are performed at the Seattle Humane clinic in Bellevue, a veterinarian and a vet technician crowd into an operating bay in a former janitor’s closet. Dogs and cats recover from surgery on heating pads in a hallway. Stressed-out dogs in narrow concrete and chain-link kennels bark and bark. Life is about to get much better for the pets — and the staff and volunteers who care for them. 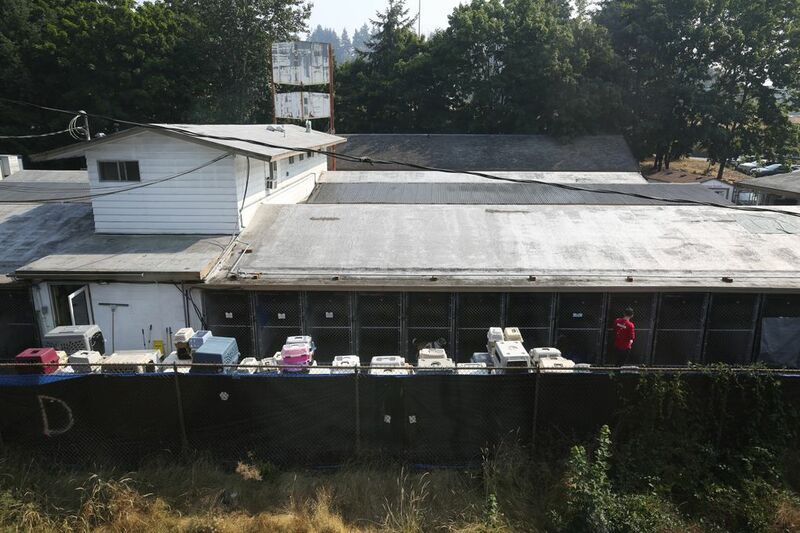 In about two weeks, the state’s oldest animal-welfare organization will move into a new, $30 million, three-story building constructed immediately behind its cramped, 1960s shelter off Eastgate Way. 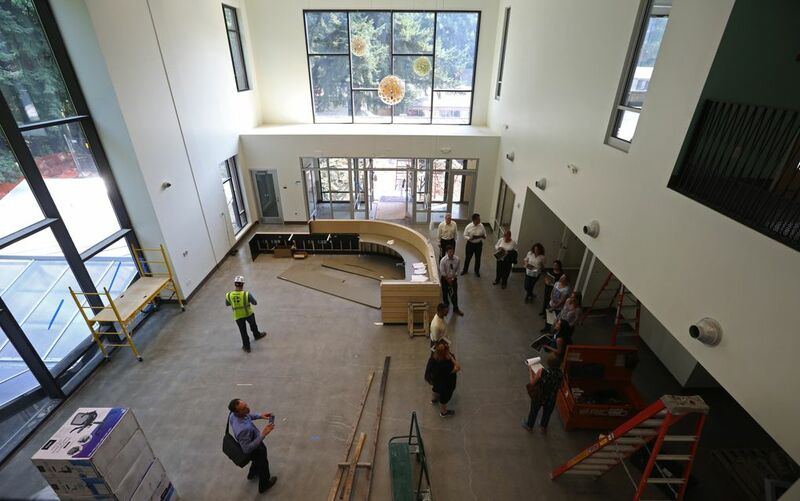 The state-of-the art facility will combine an animal shelter, adoption center and a veterinary teaching hospital that will be run in partnership with Washington State University’s College of Veterinary Medicine. 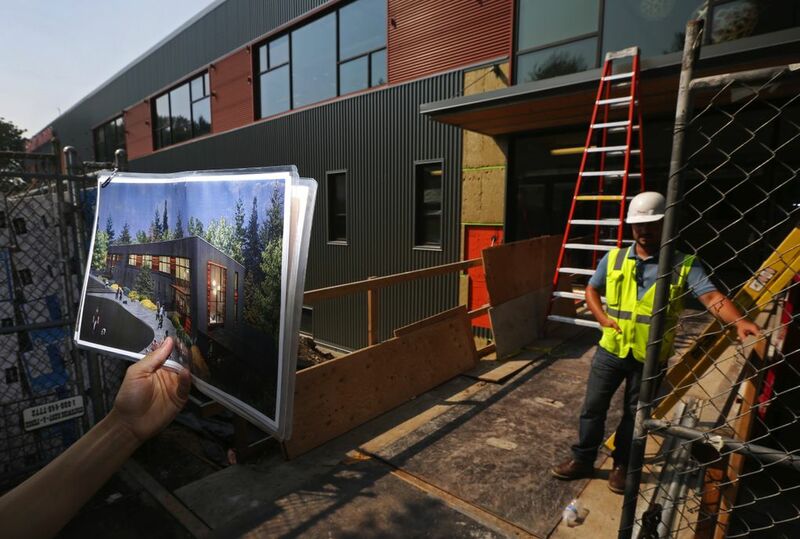 An open house for the public is expected to be held in December, after the current cinder-block building is demolished and a new parking lot and entryways finished. Pet adoptions, as well as the number of animals rescued from high-kill shelters and the number of pets spayed or neutered each year, are all expected to significantly increase once the new building is fully operational, said Anna Gabriel, capital campaign director for the new building. 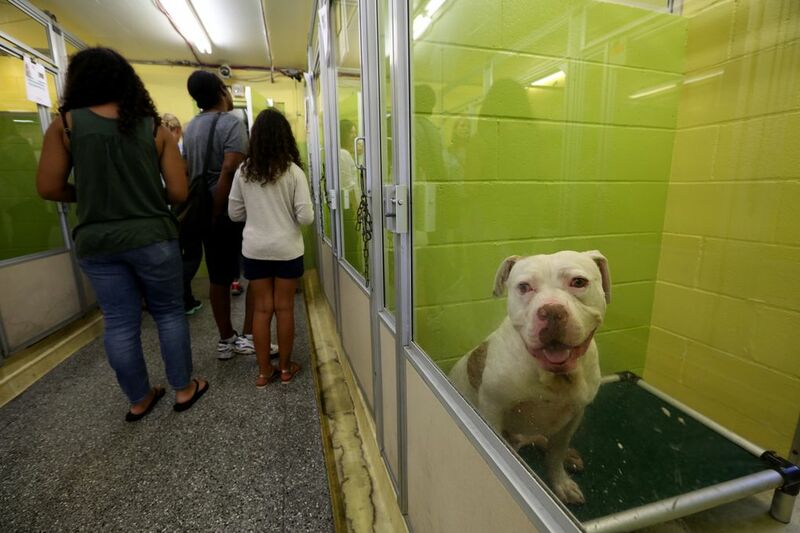 She said the shelter blew right past its fundraising goal of $25 million and is still raising money — more than $28 million to date — by sharing with the public the vision of a shelter that can rescue more animals and extend its reach to more of the state and beyond. During the recent heat wave, Gabriel led a tour through both the old facility, where volunteers washed litter boxes and food bowls by hand and hosed down the dog runs to ease the heat, and the new building, with its light-filled adoption area, fully equipped animal hospital and a commercial dishwasher that will free up volunteers to spend more time with the pets. A new room for a cat colony — cats who are socialized and can hang with other cats — is so spacious that one tour member quipped that it was as big as a New York apartment. Seattle Humane began life as the Seattle Humane Society in 1897 and initially focused on the treatment of animals in stockyards and slaughter houses. It moved from Elliott Avenue in Seattle to Bellevue in 1972 when it split with what became Seattle Animal Control and King County Animal Control. 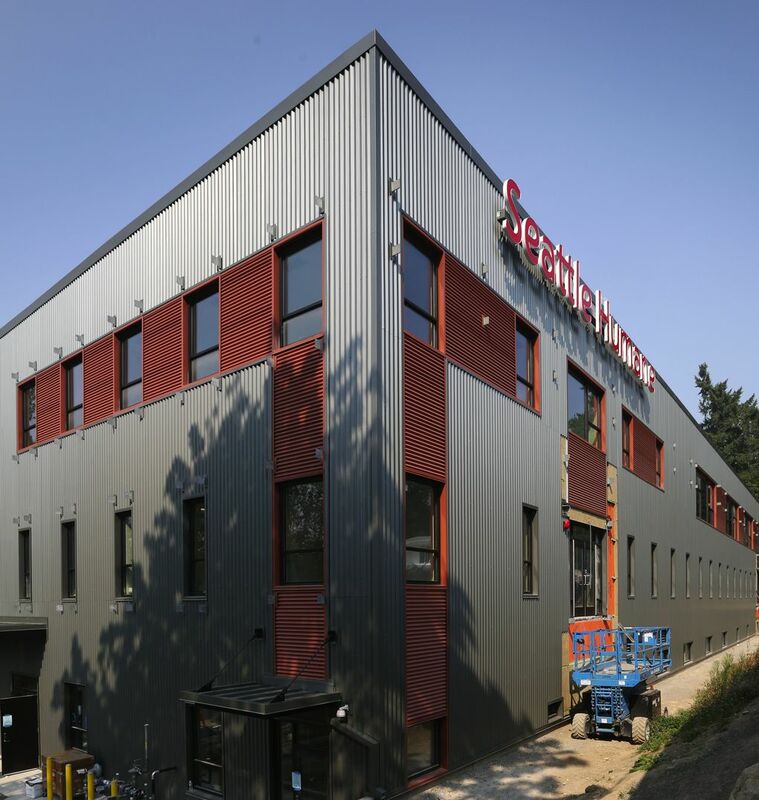 Seattle Humane was also one of the first organizations in the state to move to a no-kill shelter model focused on the care and placement of pets that had been relinquished by their owners. Only very ill or dangerous animals are euthanized, said Amanda Anderson, public-relations specialist. The focus on animal welfare shines through every room of the new building. Extensive ventilation fans are designed to prevent the spread of disease and odors. Acoustical tile and cushioned flooring is expected to minimize the noise. Air conditioning will keep the building at a comfortable temperature year-round. There are isolation wards for sick animals and a cat nursery for pregnant or nursing moms. 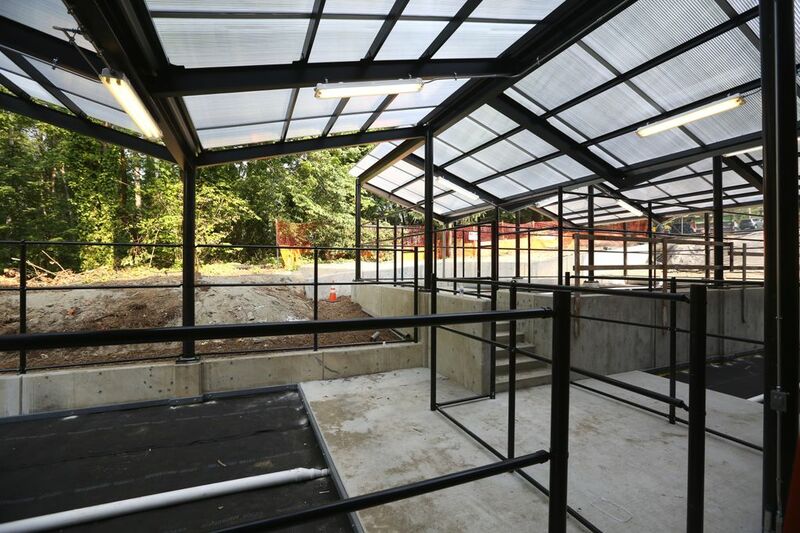 Cats will be housed on the new shelter’s second floor, dogs on the first. “We currently don’t have a way to transport cats without walking by dogs,” Gabriel said. She also noted that the new kennels are designed to minimize animals having to see each other constantly and remain on high alert. There’s no chain-link fencing in the new shelter and almost no bars, except on enclosures designed for a brief, initial intake. 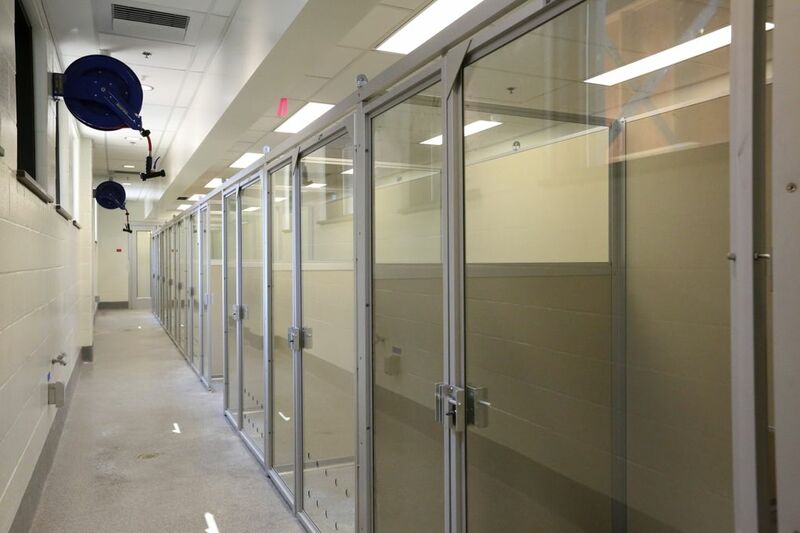 The new shelter interiors were designed by Animal Arts, a Colorado architecture firm that specializes in animal shelters and hospitals and was built to standards set by the Association of Shelter Veterinarians. WSU officials have been involved in the planning since the beginning, said Bryan Slinker, dean of the WSU College of Veterinary Medicine. The new medical clinic will give more veterinary students dramatically more surgery experience than they were getting just a few years ago. He said students typically performed four spays or neuters during their final year in Pullman. For the past four years, in anticipation of the new clinic, WSU vet students spent a two-week rotation in Bellevue and performed at least 30 surgeries a week using the surgical bays in the former closet and an adjacent trailer. In the shiny new animal hospital, additional students will be able to get that same high-volume practice, Slinker said. 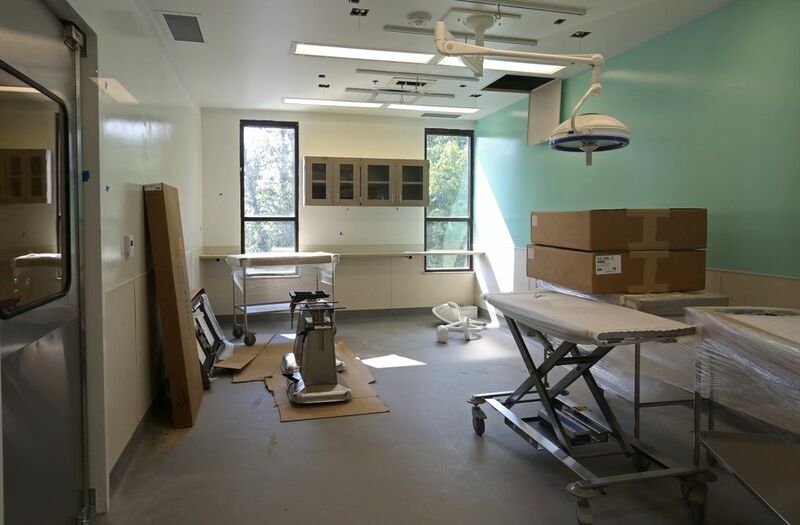 The new animal-hospital facilities also have a room for dentistry and an area set aside to assesses the behavior of animals brought into the shelter. Seattle Humane has been criticized in the past by some animal advocates for directing problem dogs and cats to public shelters. Anderson said that because of the constrained space in the current shelter, staff was limited in how many problem animals they could work with. She said the expectation is that with more space, the shelter staff and volunteers will be able to address more of those behavior issues and increase the number of pets available for adoption. Board member Aaron Knudsen, also along on the tour, was asked how exciting it was to be opening a new shelter after more than four years of planning and fundraising. “Extremely. Very. Incredibly,” he said.